I’m not getting younger – and my skin doesn’t quite act the same as it did when I was in my early twenties. I was in shoppers drug mart and picked up a Philosophy Festive Favourites kit that was on sale. All the products that were in the kit are amazing and will be doing separate reviews on each because they are that good! 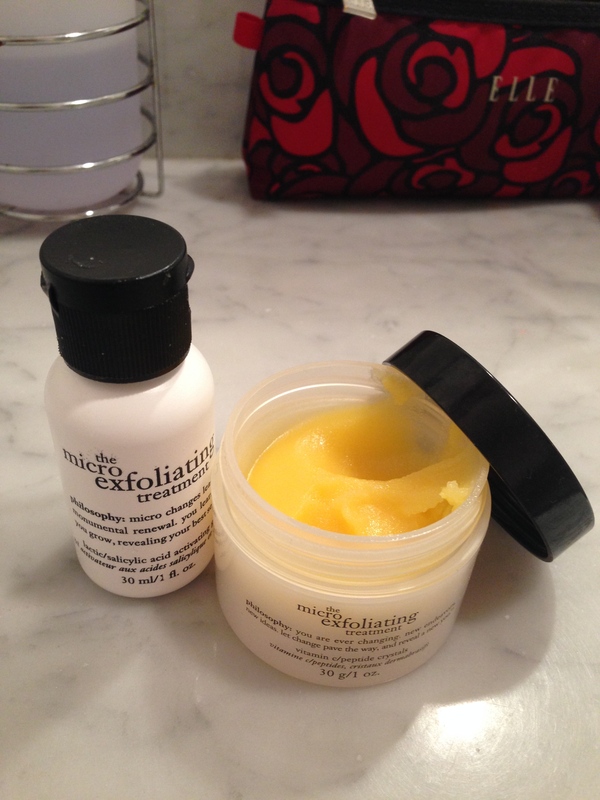 The one item (or really 2) that stood out as my favourites is the micro exfoliating treatment. This is a 2 step treatment system that I have been doing weekly for the past month. The first step is to take about a dime size of the yellow exfoliating cleanser in the jar from tube 1. On a clean dry face you scrub it around your face and next for 60 seconds. After you take the liquid from step 2 (again about a dime size) and add on top of step 1 – do not rinse your face between steps. What’s really neat is that when you add the second step it starts to foam a bit all over. This is basically a spa quality facial that you can do at home. My skin is so soft and even as a result of regular treatment. The people in my life have even commented that my skin has been looking radiant these days. If you are like the most of us, unable to afford regular spa facials, then this is a great and affordable alternative! 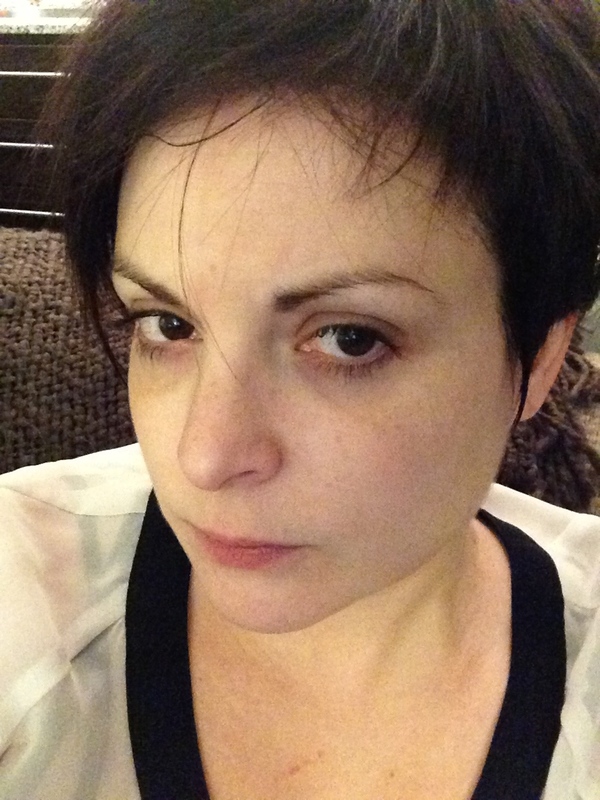 This entry was posted in Beauty and tagged cleanser, exfoliating, face wash, facial, philosophy, skin care, treatment by maldham. Bookmark the permalink. Yes – it’s very fine and small particles but as long as you stay within the 1min instructions and don’t push hard when scrubbing you will be fine. I absolutely am willing to do a 3 month follow up – I’ll put my 1 month (which is now) up when I get home and take off my makeup. 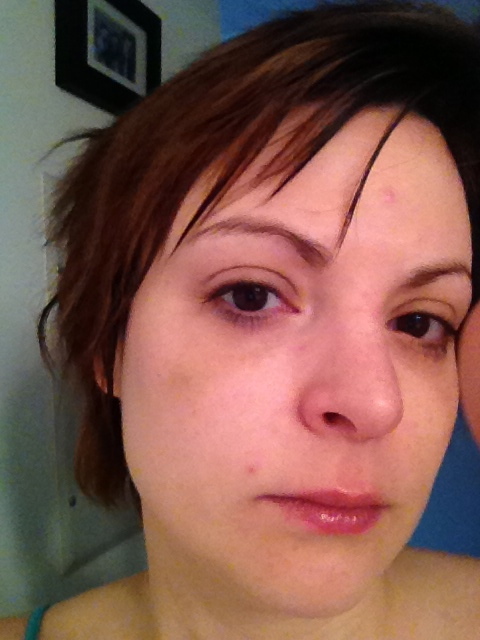 I”m kicking myself for not doing a before picture but have a posted pic that I will re-upload from April that pretty much shows my tired, blotchy, zitty skin.